Life, liberty and the pursuit of happiness is a phrase we learn as small children. Unfortunately, we really don’t learn what it means until later in life, and some of us never learn it at all. There is a lot of advice out there on how to be successful and world changing, but the core piece of advice to keep in the forefront is to pursue what you love, every day, no matter what. That’s a life worth living. Don’t pay attention to the naysayers, your limitations or your doubts. Keep going in spite of them. Every single person in this world has an ideal path that will make their life fulfilled, and those who can ignore the road blocks have discovered liberty. To find your passion and be successful with it, you must go with what makes you truly happy and then pursue that happiness every day like you haven’t yet gotten it. Make every day a chase and never stop the journey. That’s the pursuit of happiness. Many people do this without considering another way. They know what they want from a young age and don’t stop. Think about the truly successful people in the world. Thomas Edison, Steve Jobs, Sam Walton, Walt Disney. All these people have two things in common- passion and determination. Each of them found something they loved to do and were passionate about pursuing it. All of these people faced challenges that seemed impossible to overcome, but they didn’t care. They kept going, every day, and now they are famous for their success. These people are lucky. They know what they want and they did it with passion. Many of us may still be confused as to that one thing we think we should do. But there lies the problem. Thinking. Instead of thinking about what you should do, weighing the risks and moving once you’ve decided to, you should just do. Don’t consider how you may fail or that you might not make any money. Certainly don’t think about what others will think. Just do what you know you want and pursue it every day. Live the life you want and be successful. Make our forefathers proud and take your right to life, liberty and the pursuit of happiness. There are plenty of articles out there that explain how to achieve work-life balance. Many of them tell you to download an app to manage your time or work for a company that allows you to work remotely, and while advice like this might be helpful, it’s also missing the point. Because most of the time technology won’t fix the problem. Technology is the problem. We’re overwhelmed, discouraged and frazzled because we’re too connected to work, not because you don’t have the latest smart phone. To continue this point, here are five pieces of advice that can simplify and therefore balance your life. Prioritize your relationships as much as you do your career. There are too many occasions throughout our life that we value our job over our relationships. Yes, we all need to work to make a living, and many of us feel respected because of our career, but life should be about who we love and how well we love them. Not how we earn money. Studies show that the happier we are from our relationships, the more happy and motivated we’ll be at work. This means, when you’re at home, be truly present. Don’t half listen or complain. Appreciate the people who’re around you. Taking a walk with your spouse can strengthen your relationship in a powerful way. Not only is the exercise good for you and your productivity level, but the habit of taking a daily walk with your mate allows you invest into each other. If you’re working over 50 to 60 hours a week, you need to figure out why. Are you taking on too many responsibilities? Are you managing your time properly at work? Learning to say no and blocking distractions with a closed door or a pair of headphones can do wonders for your productivity. The more you get done at work, the less you have to worry about work while you’re at home. It’s important to make every day geared towards having as much fun as you can. That often means that work shouldn’t be prioritized as much as it is. 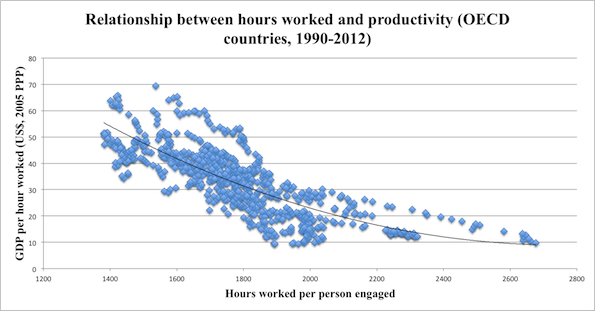 Check out this chart that shows the level of productivity rise as the number of hours worked decrease. The more you work, the less you tend to get done. This might seem obvious, but too often people are coming into the office with only a few hours of sleep to support their day. Also, the old school way of thinking that allows for one day of rest each week is so important for a balanced life. Even if you’re overwhelmed or “too busy” take the time to sleep soundly every day, do it anyways because doing so will improve your productivity, your mood and your overall health. Plus, the ability to dream every day improves creativity and allows your brain to rejuvenate. At some point in the day, most likely when you get home, you should stop using your cell phone and your laptop and enjoy other things. Reading a book, cooking, exercising, watching your favorite sports program or TV show, and managing your household are all good ways to spend your evening away from your cell phone. It’s also extremely important to stop messing with your phone at least an hour before bed in order to get a better nights rest. Keep your health in mind. This means keeping the amount of drinking, eating, veging, smoking or whatever habit you may face in check. The healthier you are, the more productive and happy you will be. Make every day about adding those helpful habits that improve your life, and every day you will get a little bit better. We all know what needs to be changed in our life, but most of us are so overwhelmed that we can’t put our energy into change. 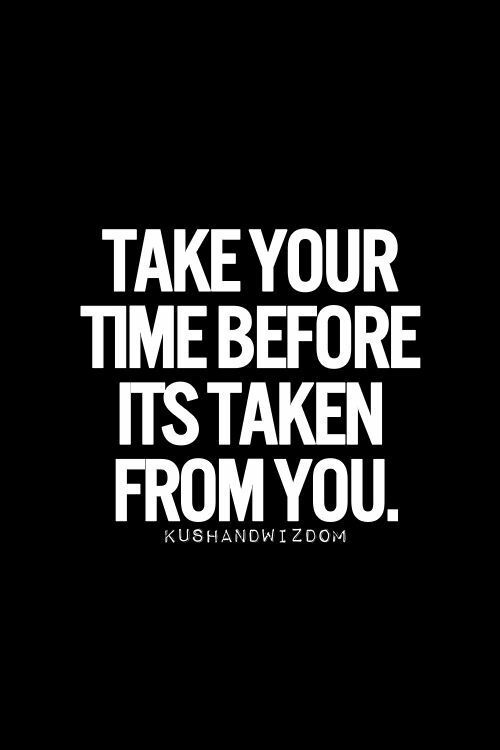 That’s why we need to make time on a daily basis to invest in our own happiness, health and relationships. Because in the end, those are the things that matter. When an article is discussing work-life balance, the subject is often directed to working mothers. However, Andy Core’s advice to change your life is for everyone who may be overwhelmed or discouraged with their day. For instance, everyone has now finished up their holiday season, and soon we will all embark upon the most dreary months of the year. Because when the holidays have ended and the lights are packed up, we’re left with three months of winter and no opportunity to take a vacation. Many of us will hit a lull in our day to day lives that make us feel like we’re on autopilot. Maintaining an upbeat and motivated perspective may seem impossible. However, studies show that if you feel yourself slipping back into bad patterns for whatever reason, be it depression, lack of motivation or just plain fatigue, the best way to get back on the wagon is to reflect back to a point in your life that made you feel happy. When were things going well? If you keep a journal on a regular basis, this might be an easy exercise. However, if you tend to live life by the moment, and don’t take time to reflect on a regular basis, this may take more time. Either way, just remember the times that you felt the best about you. One great article I read yesterday suggested that we change things according to how we did things as a child. Check it out here. 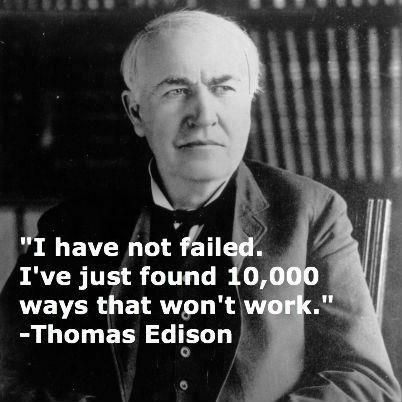 What were you doing differently that you fail to do now? Were you cooking meals with your family? Were you exercising? How much TV were you watching? How much sleep were you getting? Were you prioritizing your relationships? Were you excited about your job? All these questions relate you the minipatterns you’ve designed. If you haven’t stuck to the most beneficial ones, then you most likely won’t be in a good mindset. Therefore, to stay energized at work during this next year, focus on the small, daily habits that you know you should do. Putting technology on the backburner could help significantly. Get your blood flowing with exercise to feel the excitement of health, oxygen and stress relief. Eat mindfully both at work and at home. Practice gratitude. Picture this for a moment. A three-year old has your laptop in its grubby hands getting ready to bang on the screen, drop it or get the keys sticky with food. You’d freak out, right? You’d instantly take your laptop back, assess the damage and take control of the situation. Sadly, it seems that we care about electronic devises more than ourselves. Due to whatever reason, we often continue to let our life be out of sync for years at a time. We give the laptop to the toddler. I’m not asking you to freak out about changing your life, but I am asking you to value your peace of mind, health and community at least as much as an electronic device. You have the power to assess the damage and create daily habits slowly in order to change your life. The hardest part is getting started. The worst thing you can do is get overwhelmed by a huge list of things to do. Once you have the motivation of one small adjustment, a tailwind affect will occur and change will snowball with that momentum. One encouragement will serve as a catalyst for transformation. Just change one thing in your day, and if you keep it up, in time, you’ll have reached an amazing goal.